Museum Villele in St Gilles senior is a colonial property. This mansion is located in the heart of a large plantation , tours are guided and guided to the inside of the large box and pointed chapel. - Salt Museum in St Leu. The salt pond and beautiful volcanic sand beach , is the joy of dreamers and lovers Kite . The park is home to 160 croc crocodiles and playgrounds will delight young and old . They offer you the pleasure of admiring fisch of the lagoons with a simple mask and snorkel or laze in a hammock between two casuarinas . 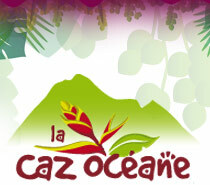 (masks , snorkels and hammocks to your the provision by Caz Oceane .